With this summer’s recent ruling on sports gambling, betting on sports is becoming a reality in more states. Caesars Entertainment Corporation announced that it will introduce sports betting into its Atlantic City, Gulf Coast and Tunica (Mississippi) properties in July and August. The introduction of sports betting in these jurisdictions is the first step in Caesars Entertainment’s plan to expand its sports betting offering following the Supreme Court’s landmark PASPA ruling and the subsequent legalization of sports betting in New Jersey and Mississippi. Caesars Entertainment is moving quickly to introduce initial facilities at its properties in New Jersey and Mississippi in July and August that enable customers to place bets. 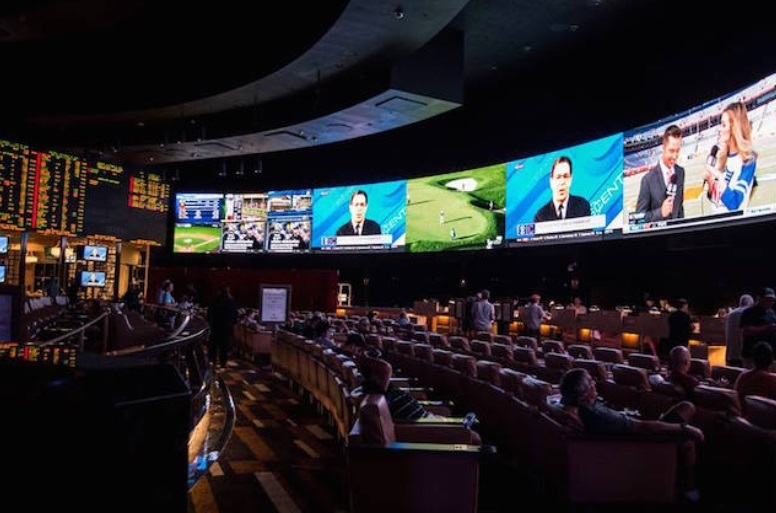 Over the course of the next nine months, Caesars Entertainment will be building out the facilities to create the same world-class sports betting experiences currently available at its properties in Nevada. Caesars Entertainment plans to quickly introduce mobile sports betting throughout New Jersey and on property in Mississippi on the Caesars Casino & Sports mobile app HERE. This will expand Caesars’ existing online poker and online casino offerings in New Jersey. Caesars plans to introduce the mobile application in additional states when and if it becomes legal and economically attractive for Caesars to do so. Caesars is bringing industry-leading technology and dynamic on-property experiences to all of its guests through its collaboration with Scientific Games, a leading partner to the world’s most powerful iGaming, iLottery and Sports Betting brands. Scientific Games’ Digital division will power the Caesars properties with its OpenBet sportsbook technology. OpenBet will provide Caesars’ players with intuitive and sleek solutions, enhancing the sports betting experience at the two venues and through digital platforms. The sports betting offering will begin with facilities at Bally’s, Wild Wild West on July 30 and Harrah’s Atlantic City and August 1. Caesars plans to follow the retail openings with the introduction of mobile sports betting throughout New Jersey on the Caesars Casino & Sports mobile app. In Mississippi, sports betting locations are targeted to be available at Horseshoe Tunica and Harrah’s Gulf Coast in mid-August, just in time for football season. Caesars has quickly mobilized to provide guests a new exciting gaming experience that sports fans can trust. Caesars’ sports betting offering is fully integrated with Total Rewards, allowing guests to earn and redeem rewards in the industry’s leading loyalty program. Total Rewards allows players more ways to earn and redeem than any other program. More information on Total Rewards, including how to become a member, can be found at www.TotalRewards.com.